It seems that the Maybach Music Group train just keeps on rolling this year. In a summer when affiliates such as French Montana and Wale have both released albums, and label shining star Meek Mill is due to drop the third installment in his Dreamchasers mixtape series, it's been easy for people to overlook another MMG star in Stalley. Hailing from the state of Ohio, Stalley has been quietly working away whilst the likes of Meek, Wale and French all seem to be plastered on the scene. He has four mixtapes under his belt, with his last one, Savage Journey To The American Dream, garnering a lot of critical acclaim. "NineteenEighty7" sees the MMG signee team up with one of the hottest rappers in the game right now, Schoolboy Q. With TDE currently seen as one of the best crews around at the moment, Stalley has called on Q to bless this track with some of his west coast swagger. Both rappers go in on this Terrace Martin beat which features some scintillating piano chords and a smooth electric guitar sample. 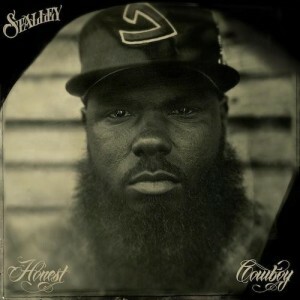 "NineteenEighty7" is taken from Stalley's forthcoming mixtape Honest Cowboy, which is due to be released today. This project features Crystal Torres, Scarface, Schoolboy Q and Joi Tiffany and is being dropped via livemixtapes.com at 2:30pm ET.